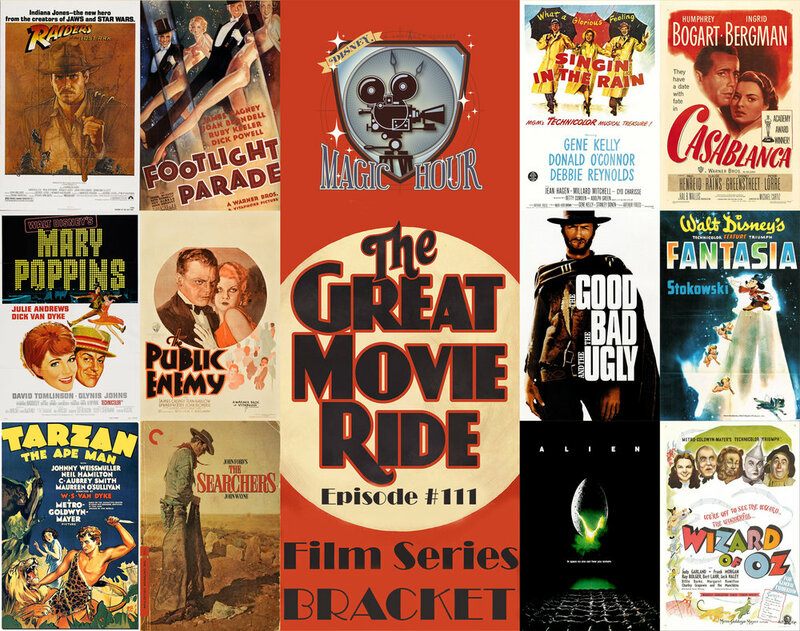 As a grand finale to our Great Movie Ride Film Series we have decided to sharpen the knives and create a bracket! Only one of the 12 scene featured films in the Great Movie Ride can survive. Which would you choose? Do you pick Mickey and Fantasia over Mary Poppins? Indy over Tarzan? Cagney over Bogart? Does Oz top Singin' In The Rain? Lots to discuss! Let's go! It's showtime! Join us for our Halloween Horror Nights event with special guest, Disney Master Artist, Kevin-John! Find out more details HERE! Support us by becoming a DMH Crew Member at our Patreon page HERE! Visit Disney artist Kevin-John's website HERE and follow him on Facebook HERE!! Subscribe to the Disney Magic Hour Podcast! Join our Disney Magic Hour Facebook page HERE! Head over to YouTube and check out POGO's page HERE to view all his music videos. You can also reach Pogo on Twitter @NickBertke and at pogomix.net. This week's track was THERE YOU ARE!! This weeks entry of the Great Movie Ride Film Series is none other than the classic CASABLANCA. The film is held extrememly high in the history of cinema to this very day but is that earned? Does the story of lost love, rebellion, and regret still hold up? What's the moral? What is the iconic shot? So much to discuss we must get going. Let's go! It's showtime!